If you want to score a 10% off Travelocity coupon right now it couldn’t be easier. All you need to do is sign up to become a member. Not only will you score a one time use 10% off Travelocity coupon code but once you become a member you are eligible for special deals and will receive sale announcements and insider savings straight in your inbox. To sign up head to the Travelocity site and look for Sign up now at the top in the page in an orange banner. Click it and you will be forwarded to the sign-up page. Just booked your vacation at Travelocity, but found a cheaper deal somewhere else! Don’t worry Travelocity offers price match on every booking whether it be for a flight, car rental, or hotel. There are some restrictions. You must make the price comparison to Travelocity within 24 hours of your original booking. The comparable deal also must be in USD and have the same cancellation policy. If it matches these criteria Travelocity will refund the difference regardless of whether you used a Travelocity coupon code or not. If you are just window shopping for possible vacation destinations then Travelocity is a great place to start. If you don’t have a specific destination in mind then make sure to check out Today’s Top Deals. These are located in the middle on the Travelocity page. So hop over there are explore all those great deals. Make sure to couple your deal of the day with a Travelocity coupon for our page to double your discount. A simple but often forgotten travel savings tip is either book well in advance or last minute. This is where the best deals are to be bad. Booking early is a standard savings tip for most vacations, but if you wait till the last minute you can also get deeply discounted airfare or hotel stays are airline and hotels are trying to fill their vacancies as soon as possible so they will drop their prices. Are you commuting to the office and dreaming of your next vacation? Stop dreaming and make it a reality now with the Travelocity app. The app has all the same great features of the website, but all available right in your pocket. Hurry now and download the app because right now there is a 15% off Travelocity promo code for your first time booking via the app. 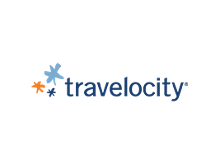 If you want to go on vacation and want to make sure you are getting the best deal possible with or without a Travelocity discount code then it can save you big to be flexible. Either be flexible with the time of your trip or the destination. If you have been dreaming of the white mountains of Switzerland or the clear blue water of Hawaii don’t let the higher costs scare you away! Travel in low season or on the edge of high season and you can save yourself a small fortune. If you are itching for a vacation but only have certain times off during the year sort through hotels and flights priced lowest to highest. You might end up in a place you never knew you wanted to go to but fall in love with.